The president and general manager of Deer Valley Resort on Thursday briefed Park City leaders about ambitious ideas at the resort involving expansions stretching from the Jordanelle Reservoir to Old Town. Bob Wheaton addressed Mayor Jack Thomas and the Park City Council at a time when there is extensive internal planning underway at the resort. 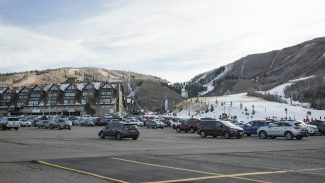 He focused his comments on a planned development in Wasatch County overlooking the Jordanelle Reservoir, an idea for a gondola linking Deer Valley with Old Town and the resort’s long-held intention to someday develop the parking lots outside Snow Park Lodge. 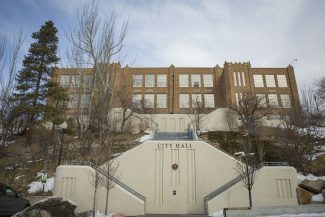 It was a rare opportunity for the full slate of elected officials and a crowd of Parkites to listen to Deer Valley’s top executive in a public setting. Wheaton, wearing his Deer Valley uniform, praised the relationship between Deer Valley and City Hall as he began his remarks. Wheaton said Deer Valley is studying two alternatives for a gondola that would link the slopes and Old Town, describing one route that contemplates two gondolas. One of the gondolas would run from the Old Town transit center to a spot at the top of the Lucky Bill ski run. Lucky Bill is situated between the Success and Solid Muldoon runs uphill from Snow Park Lodge. The second gondola would replace the Silver Lake Express lift. It is the alignment that Deer Valley is focused on, he said. "We would not have to fly through anyone’s living room," Wheaton said about the alignment, mentioning it would offer a unique and scenic ride. He said a challenge is the cost, but he did not provide details. "Holy smokes, that thing’s really expensive," Wheaton said. He also said it makes sense to build a gondola in the vicinity of the transit center, which anchors the Park City bus system from its Swede Alley location. Wheaton said there is a concentration of lodging properties in Silver Lake and people staying in those places could use the gondola. Perhaps, Wheaton said, the gondola’s hours could run from approximately 7 a.m. until 11 p.m. or so. The other alternative would involve one gondola running a route between the Old Town transit center and an undecided point somewhere in Silver Lake Village. He did not spend as much time discussing the one-gondola option. 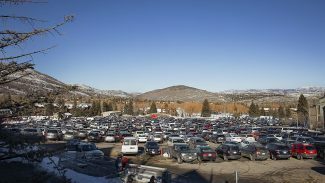 Wheaton said Deer Valley continues to study whether a gondola will be free for users. Wheaton spoke about ideas for a major development on the Jordanelle Reservoir side of Deer Valley, situated in Wasatch County. He said meetings have been held more frequently recently. Deer Valley is one of four landowners in the Mayflower vicinity. State officials and the Air Force are also involved in the discussions. The Air Force has long been interested in offering lodging opportunities in the Park City area for members of the military. 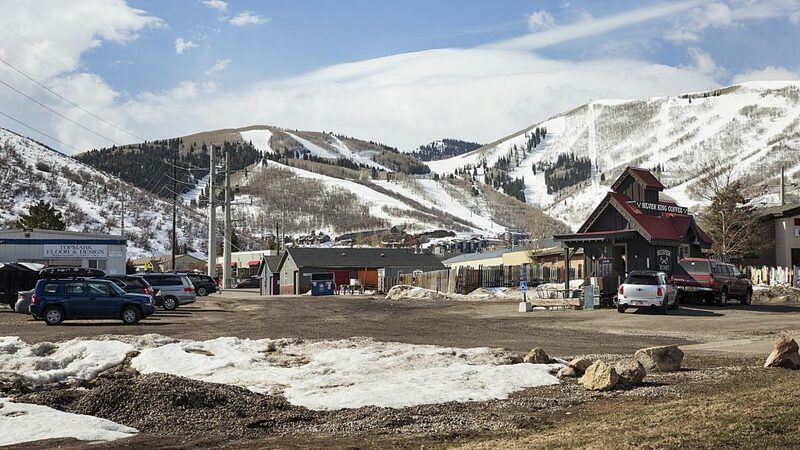 The project could involve an expansion of Deer Valley’s skiing terrain totaling between 800 and 1,000 acres with at least seven and, perhaps, eight new lifts. Wheaton told the elected officials work could start as early as next summer. 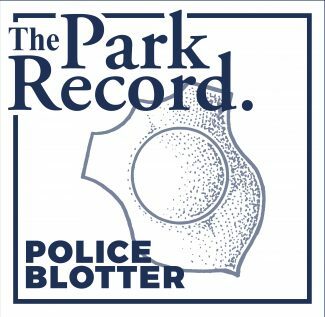 Wheaton, meanwhile, briefly touched on the parking lots outside Snow Park Lodge. Development has been contemplated there for years. He said architectural students at the University of Utah are crafting ideas for a project as part of a classroom exercise. He said the students have devised "divergent concepts." Tim Henney, a City Councilor, told Wheaton he is most excited about a gondola linking Deer Valley and Old Town as he spoke about measures to reduce traffic. Wheaton mentioned the project in Wasatch County could also cut traffic in Park City since skiers would have another option to access the slopes. City Councilman Andy Beerman asked whether a gondola could be built between the development site on the Jordanelle Reservoir side of Deer Valley and Old Town. Wheaton said Deer Valley has not discovered such an alignment but will continue to study possibilities. Wheaton’s appearance followed a month after the newly installed chief operating officer at Park City Mountain Resort, Bill Rock, addressed the elected officials. Rock’s comments to the mayor and City Council were broader in nature than those made by Wheaton.